Home Automation - Quantum Alarms Inc.
Home automation allows you to check in and control your home anytime, anywhere. Turn the lights on or off, adjust your thermostat, and even close your garage door from anywhere in the world using our smart device app. 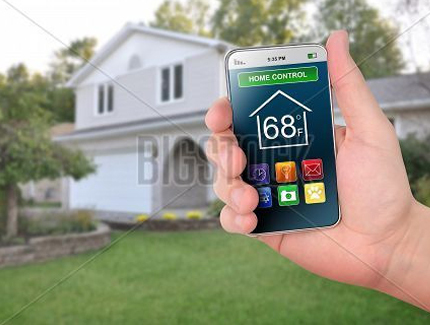 Home automation is a great way to make your home more efficient and secure. All of this available in the same App that allows you to arm/disarm your security system. Get started today! Already have a security system? No problem! It might be time to consider upgrading your security technology and take advantage of home automation. For a low installation cost Quantum Alarms can upgrade your panel to a touchscreen that works with any smartphone, tablet or wireless device. Learn more now!